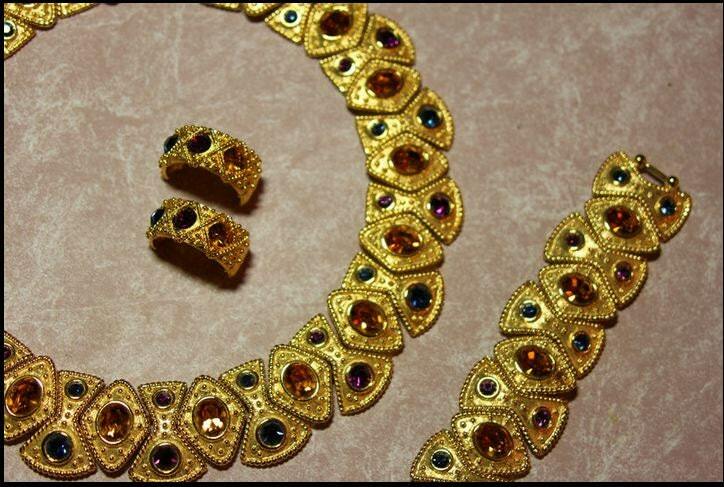 This incredible set has an 18" necklace, which is almost 1.25" wide. It is bright goldtone studded with tiny granular beaded texture and a twisted rope edging. The set features large oval citrine glass stones and deep teal blue stones and amethyst colored stones going around back to a foldover catch. The pieces are substantial and heavy. The bracelet is a little over 7" x 1 1/4" wide. The Matching pierced hoop earrings are a full half inch wide. All pieces are signed NAPIER. Mike Ruggerio former VP and designer for Napier verified that this was his original design at the Costume Jewelry Collectors International Convention. He and his wife were delighted to see the set in such beautiful condition. 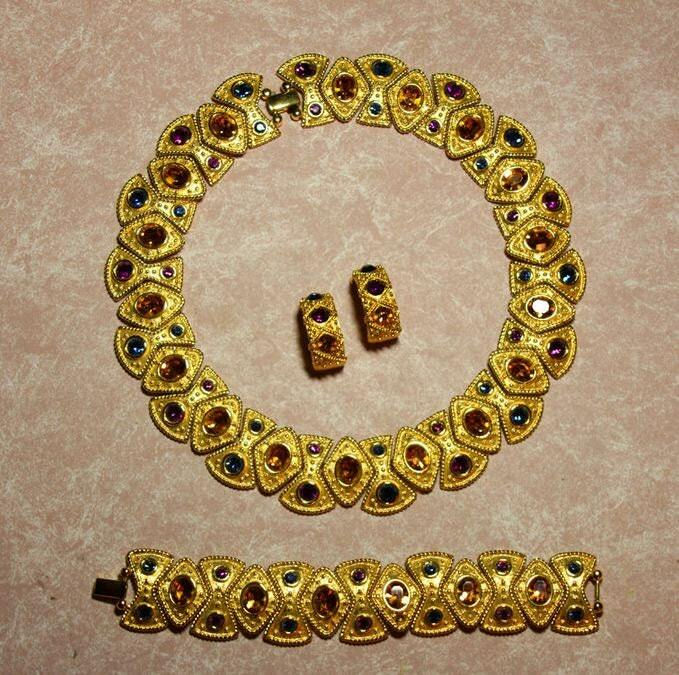 The set is in beautiful never worn vintage condition. 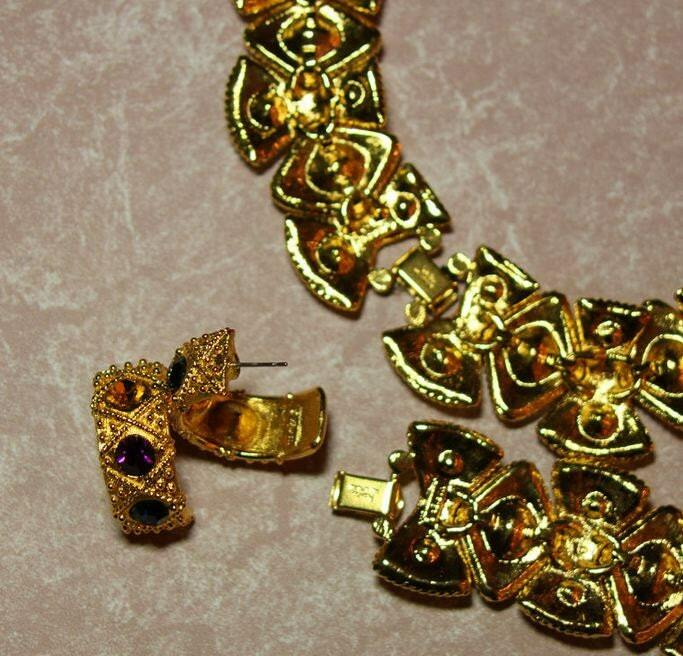 This extraordinary parure dates from the late 1980's to 1991. This was the Napier Limited Edition Royalton Collection, these were popular during the days of Dynasty and Dallas, but the bold boho style has made a huge comeback in couture jewelry.